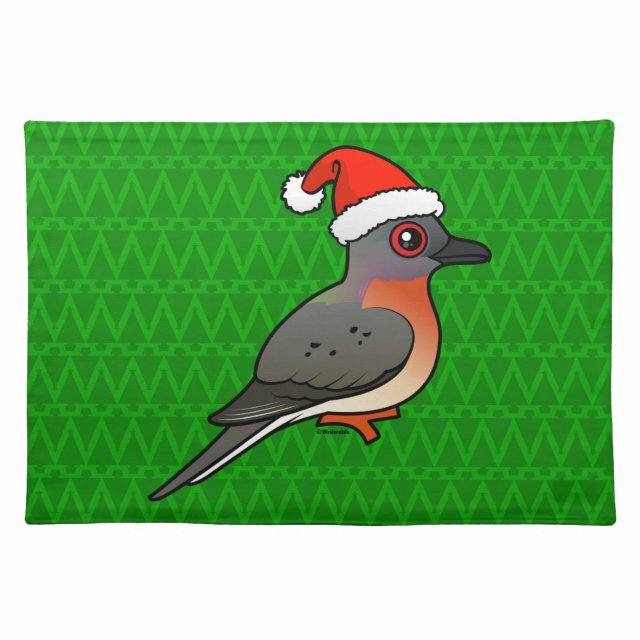 Cute Passenger Pigeon Santa Placemat 20" x 14"
You can celebrate the lesson of the Passenger Pigeon with this darling holiday design. Our cartoon pigeon sports a cute Santa hat. You can customize this gift. Move the pigeon around, change the background color or style, add text or images -- make it your own! Complete your dining table setting with custom place mats from Zazzle. These 100% woven cotton place mats are designed to complement any dining room theme. Vibrantly printed in full color, custom place mats will look great with your images, designs, monogram, or text. Size 20”x14”. 100% woven cotton.